For over 20 years, Fluid-Quip has been engineering and manufacturing separation equipment for corn wet milling and pulp and paper applications. Fluid-Quip Process Technologies has more recently leveraged wet milling knowledge to develop enhancements for dry-grind ethanol plants — and clean sugar technology at the forefront, or as some say, industrial glucose. 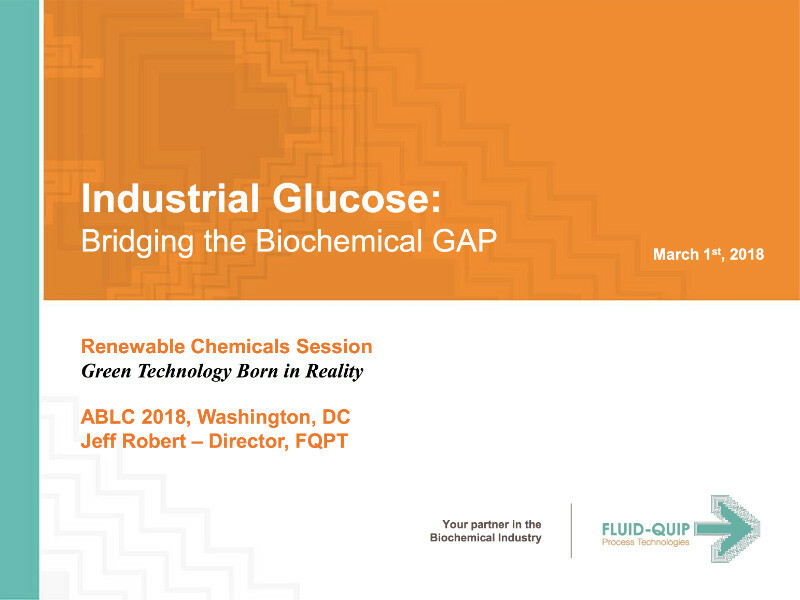 Jeff Robert gave this illuminating overview on Fluid Quip’s Clean Sugars Technology and concentrated CST syrups at ABLC 2018 in Washington DC.